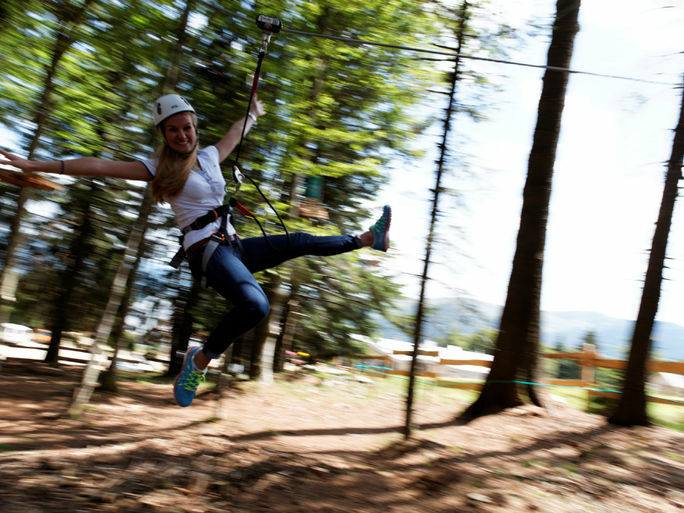 Create thrill and excitement with Saferoller & Speedrunner continuous belay systems. Maximize the adrenaline rush. 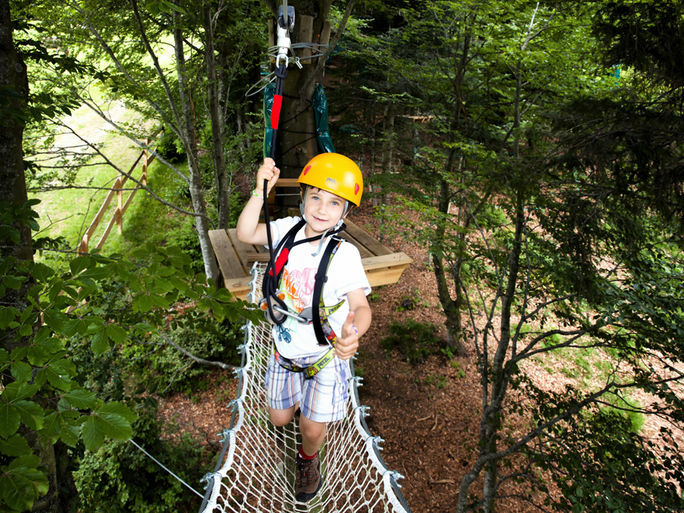 Navigate zip lines and other obstacles in high ropes courses, climbing and aerial adventure parks, amusement parks, theme parks and via ferret at heights of up to 40 meters. As soon as the Saferoller Trolley (PPE) or Kanhook (PPE) is attached to the wire rope, you are safely and continuously secured from end-to-end. No other security measures are required. 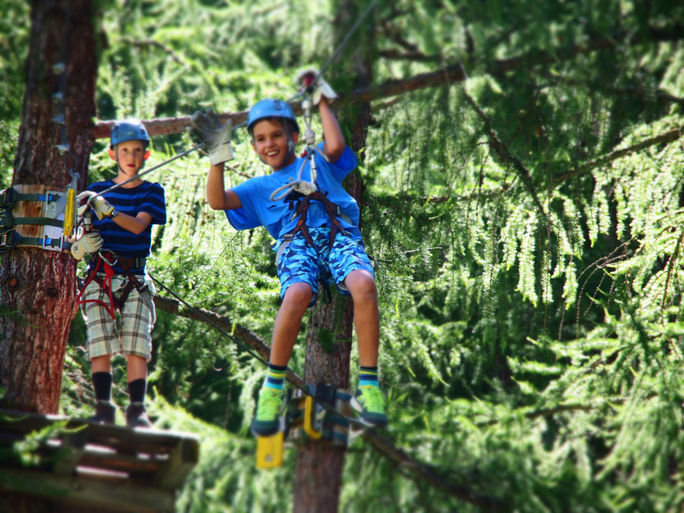 Enjoy the adrenaline rush of flying through the trees, over rivers and canyons, all with amazing views. As soon as the Saferoller Trolley (PPE) is attached to the wire rope, you are safely and continuously secured from end-to-end. No other security measures are required. Superior safety, unparalleled rolling speeds and maximum fun factor. Perfect for team building. As soon as the Kanhook (PPE) is attached to the existing rolling device, you are safely and continuously secured to the zip line. An economical solution. Superior safety and maximum fun factor. Perfect for team building. With Saferoller Kids Trail, briefing takes only 60 seconds. Just slip on and roll. Trails are designed for self-discovery and can be installed at heights up to 5m. The wire rope can be installed out-of-reach. Park staff are always available for questions or assistance. Our skilled consulting team will guide you through the design and building of high-quality, unique mobile units that can be used in Indoor and Outdoor attractions: A Saferoller Mobile Kids Trail is a reduced Saferoller Kids Trail made specifically for young kids. Shopping malls, music festivals, sports events, birthday parties and more! Each Saferoller Mobile Kids Trail is supplied with all equipment necessary for quick assembly on a flat surface anywhere. No forest? No problem! Kanopeo brings the adventure to you. Portable adrenaline for any event. From a few hours to a few days. 40 to 80 people per hour capacity. Start an exciting new mobile adrenaline-based business for fairs, exhibits and special events. Promote your park by bringing the fun to prospective clients. For maximum safety, each course is exclusively equipped with the Saferoller rolling Continuous Belay System (CBS). The structure meets all applicable European (EN 15567) and American (ACCT) standards. All courses are certified. 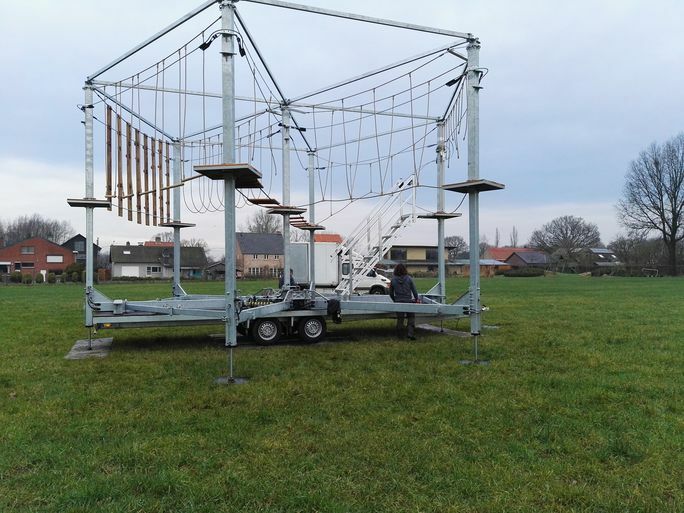 Upgrade your aerial adventure park with Saferoller or Speedrunner continuous belay systems. Our experienced consulting team will guide you through the entire process. At Kanopeo, we have demonstrated that installing or retro-fitting to the Saferoller system increases throughput by up to 35%. As soon as the Saferoller Trolley (PPE) or Speedrunner Kanhook (PPE) is attached to the wire rope, you are safely and continuously secured from end-to-end. No other security measures are required.